Prof. Byoung Ryong Jeong is with the Department of Horticulture, College of Agriculture & Life Science, Gyeongsang National University, Korea. He received the BS (horticulture), Gyeongsang National University, Korea from 1977 to 1981; the MS (stress physiology), Seoul National University, Korea and the PhD (nitrogen nutrition in bedding plants), Colorado State University, USA. He was a postdoctoral fellow, Univ. of Missouri-Columbia (USA) from 1990 to 1992. From 1992 to present, he is a lecturer-professor, GNU. He is the Editor-in-chief of J. Kor. Hydroponic Soc. and J. Bio-Environ. Control, etc. His current research interest & topics include horticultural and medicinal crop production in plant factory systems; organogenic and somatic embryogenic micropropagation; substrate development and hydroponic solution recycling; silicon as a nutrient for horticultural crops; propagation and cultivation of roses; contro. Department of Obstetrics and Gynecology, College of Medicine, Seoul National University, Korea. He worked in University of Wyoming, Laramie, as research fellow in Department of Molecular Biology from 1997 to 1999. 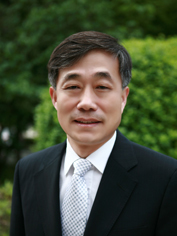 He set down and became professor and associate dean of College of Medicine Seoul National University Department of Obstetrics/Gynecology from 2006 to present and he was elected as chairman of Korean Society of Urogynecology in 2006. 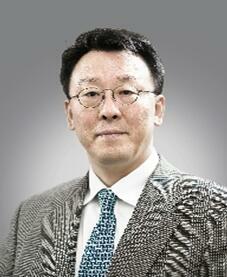 And in 2009 he was selected as director of Cancer Research Institute in 2009 in Seoul National University. In 2009, he also organized International Conference of NAPA and was selected as chairman of Asian Society of Gynecologic Oncology (ASGO) Scientific Committee. In 2012 he was selected as president of Korean Society of Cancer Prevention. 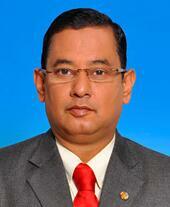 Dr. Srijit Das is an anatomist with MBBS and MS degree. He is working as a Professor of Anatomy in Universiti Kebangsaan Malaysia Medical Centre (The National University of Malaysia). He has more than 20 years of teaching experience in medical stream. His research area includes natural products, antioxidants, atherosclerosis, diabetes, clinical anatomy and morphology. He has studied in detail the oxidative damage to various organs in experimental animals and reversal of the organ damage by using potential herbal extracts. To date, he has more than 420 indexed publications with a citation ‘H index’ of 17 in Scival experts. Prof.Dr.Srijit Das has a strong passion for research and has guided many students. He is the publication coordinator for research in his institution. He is the editor-in-chief of Medicine and Health Journal (Malaysia), section editor of Journal of Anatomical Society of India (India), associate editor of Surgical and Radiologic Anatomy (France), section editor of Anatomy and Cell Biology (South Korea), ex guest editor for Current Drug Targets (Bentham) and Evidence Based Complementary and Alternative Medicine (Hindawi) besides being the editorial board member of Journal Sains Kesihatan (Malaysia), Revista Argentina de Anatomía Clínica (Argentina) and International Journal of Morphology (Chile). He won the ‘International Young Scientist Award’ given by Pierre Fabre laboratory and Phytochemical Society of Europe in 2017 at Lille, France. He has won the best researcher and best lecturer award at the faculty and university level and his research work also various received awards at national and international expo held in Brussels (Belgium). He is an examiner for MRCS part I examinations under Royal College of Surgeons, Edinburgh. He has featured in Marquis Who’s Who (USA). Prof.Das is also a visiting professor to various overseas institutions including Chiang Mai University (Thailand) and also an advisor for board of studies, Kasturba Medical College, Manipal (India). He has delivered various keynote and plenary lectures at national and international level and trained many researchers.